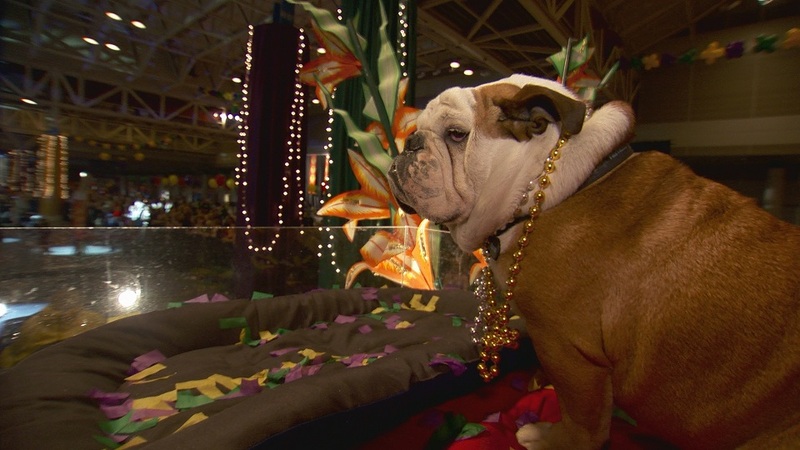 While the Natural Balance team is touring the country with Tillman, Norman and the rest of the gang, they've enjoyed a Mardi Gras experience that you won't want to miss on this week's episode of Who Let the Dogs Out, on Hallmark Channel. This show is packed with stars, and our Natural Balance mascots have an amazing day meeting Katrina survivors who were reunited after 4 years. Join Tillman as he participates in the parade on the Orpheus Float and Norman amazes the crowd with his scooter skills. Enjoy this preview and read on for important information on a time change for the show. Thanks to Petco for their sponsorship in bringing Natural Balance to life in Who Let the Dogs Out. Visit the show's site to learn more about the cast of characters; and YES, they are characters! Join me and the @NaturalBalance team for a viewing party during the show. Use the hashtag #TillmanTV to enjoy some Twitter chat or leave your comments on Tillman's Facebook page. See you Thursday online. As an NB Insider, All Things Dog Blog receives dog food and sponsored travel to industry events.